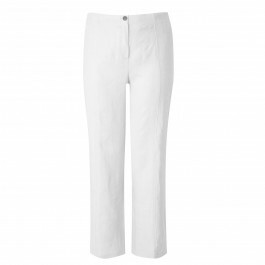 Finally back in stock these linen trousers are selling really quickly. The fit is superb: the deep rise works well over tummies and the wide leg is perfect if you are heavy on the thighs. Great as cruise trousers for the evening, I actually wear them every day when it's hot.